Image: David Hume Kennerly/Getty Images. On Friday, George Herbert Walker Bush — 41st president of the United States and father of the 43rd — died at his Houston home at the age of 94. His death comes only seven months after that of his wife of 73 years, Barbara Bush. Bush had suffered from declining health in recent years, having already been in and out of the hospital in 2018. According to a report in The New York Times on Saturday morning, his last few days were spent largely in sleep. Former secretary of state James A. Baker III arrived at the family’s Houston home on Friday to check in on his longtime friend, joining several other friends and family members. Baker said that the family put Bush’s son, George W. Bush, on speakerphone Friday evening, and George W. said he’d been a “wonderful dad” and that he loved him. His father responded, “I love you, too” — his last words. During his lifetime, George H.W. Bush was known as a steadfast force for good on the national and international stage. He was also known for his consummate public service, his unwavering ethics and his deep and abiding love for the American people. Memories and condolences from family, friends and admirers have already begun flooding social media. George W. announced the news, honoring his dad’s legacy of integrity. “Jeb, Neil, Marvin, Doro, and I are saddened to announce that after 94 remarkable years, our dear dad has died. George H.W. Bush was a man of the highest character and the best dad a son or daughter could ask for. 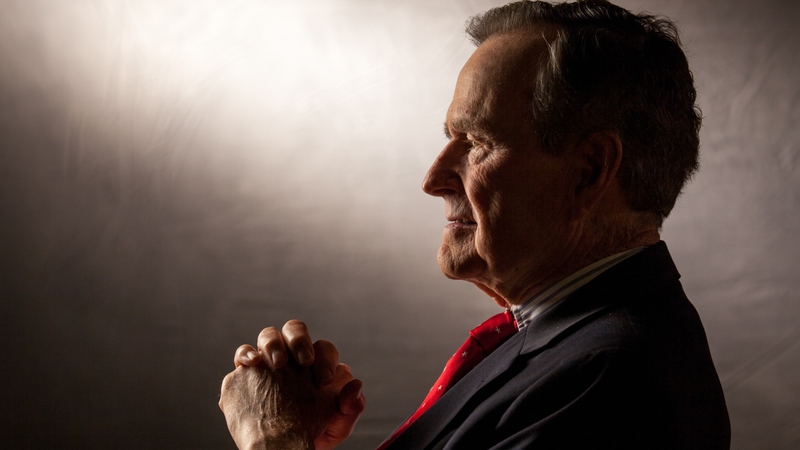 The entire Bush family is deeply grateful for 41’s life and love, for the compassion of those who have cared and prayed for Dad, and for the condolences of our friends and fellow citizens,” his statement read. Waking up missing this giant of a man who gave me everything. He taught me and my family about service, family, decency, the power of gentle words and a beautiful heart. I will miss him desperately but so happy he and my Grandmother are back together. In another, she shared an illustration of her late grandmother and grandfather along with their daughter, Robin, who died of leukemia at age 3. The image, which Hager said brought her “such comfort,” reminded her of Bush Sr.’s thoughts on the afterlife. Barack Obama, who has fostered a close friendship with the Bush family in recent years, also took to Twitter to pay his respects. Dan Quayle, Bush’s vice president, called his former running mate a “completely genuine, decent and honorable person” and a role model. President Donald Trump issued a statement regarding Bush’s death on Twitter and ordered flags to fly at half-staff for 30 days to honor Bush. According to USA Today, Trump will attend Bush’s funeral at the National Cathedral, although the time and details of the service have yet to be released. Bush will lie in state next week at the U.S. Capitol Rotunda, giving the American people an opportunity pay their respects as well. The Rotunda will be open to the public for that purpose from 7:30 p.m. Monday to 7 a.m. Wednesday.